Groovy hard rock from the Netherlands, sounds good right? Wait until you see the lineup which is absolutely STACKED. Featuring members of Cynic, Exivious, March and Textures these guys are doing something that's actually really exciting. 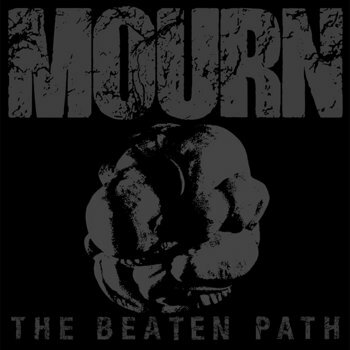 Sure the riffs are overall coming from a very much Down/Black Label Society inspired place, but there is something more, something greater to the Mourn sound. The stomping introduction to Fool's Gold is a great example of this. There are touches of prog that nicely accent what might otherwise be viewed as biker metal riffs. Toss in some wonderful harsh vocals and you start to get a real sense for the majesty of this band. The production is top notch and the songwriting stellar throughout, so really, what more is there to ask of this band? These guys know how to craft some top notch tunes and I see them going far fast. Providing a whole lot of interesting aspects to an overcrowded genre, I can hardly wait for the full length!